The self-proclaimed “musical genius” is one of the most versatile artists of our times. Born in Canada, Gonazles, whose real name is Jason Beck, studied jazz-piano and became famous with his satirical electro pieces. Later, he turned to pop music and collaborated with many different artists like Feist, Peaches and Drake. In 2010 his song „Never Stop" was used in the TV commercial for Apple’s first ipad. 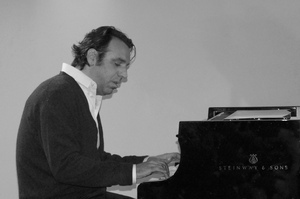 Canadian pianist Chilly Gonzales is the enfant terrible of the classical music world. He told Sara Steinert and Thore Barfuss why pop music triumphs over classical music and how he attempts to change that by bothering people.